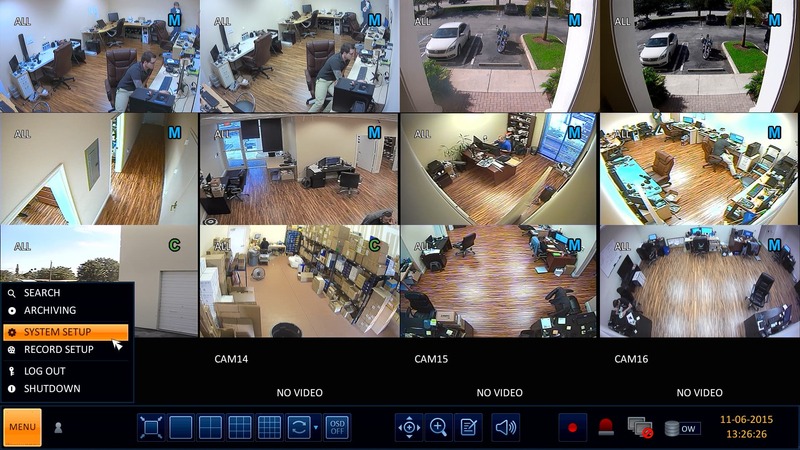 iDVR-PRO hybrid CCTV / HD security camera DVRs support the following camera types: analog CCTV, AHD, and HD-TVI. 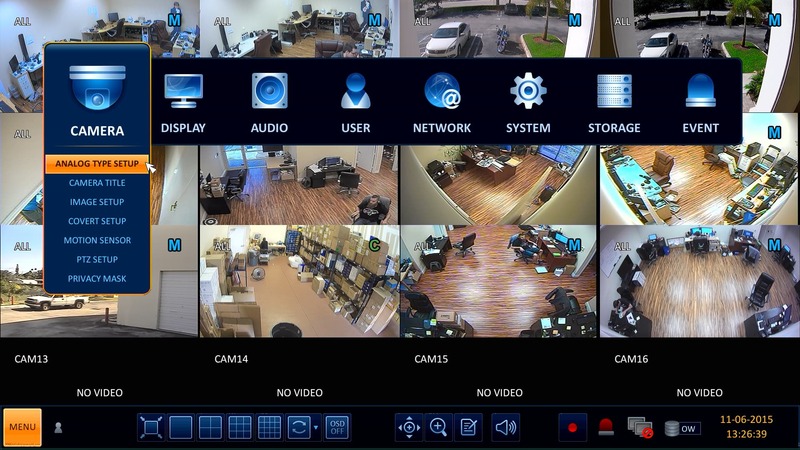 Users can use any of those camera types on each channel of their DVR using the same BNC video inputs. Follow these instructions to configure each BNC video input on your iDVR-PRO for the camera type you will be using. You can find these hybrid CCTV / HD camera DVRs here. These instructions only apply to the iDVR-PRO hybrid. In the instructions below, we are using a USB mouse to select the options on the screen, you may also use the front panel or the included IR remote control.